Melissa Hotel situated close to Nha Trang Beach, A beach voted by Forbes magazine as one of 29 beautiful bays in the world. With its convenient location, the hotel offers easy access to the city’s must-see destinations. 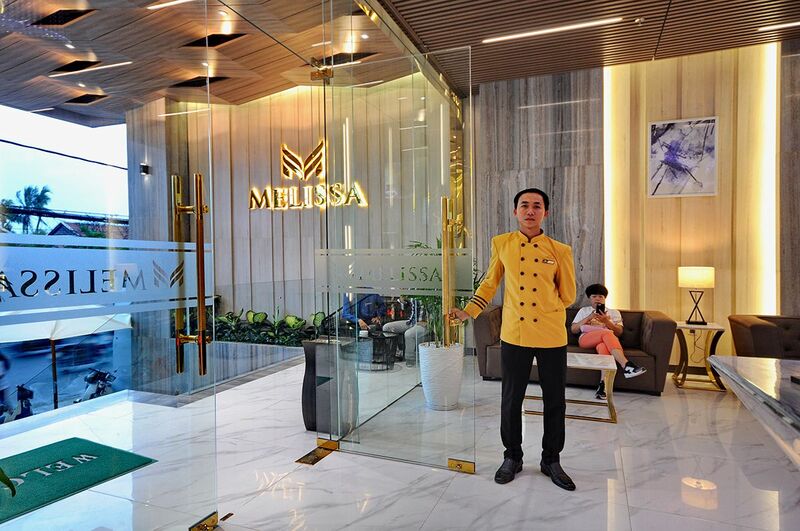 Melisa is a luxury hotel ideal for you , friends and family, experience outstanding service, comfortable and relaxing accommodation accompanied with international class standards and local prices. In addition to this Melissa Hotel also features a restaurant serving a variety of delicious menus’ along with a conference room able to facilitate up to a 80 guests all with the intention and commitment to service our customers needs. At Melissa Hotel guests have the option to simply relax or participate in many active sports and recreational activities, such as beach volleyball, beach football, windsurfing and swimming, wether you are traveling through, holidaying or just working, Melissa staff are always ready to support you. We often offer promotional discounts and preferential rates to loyal customers, we also provide airport transfers on request, Melisa Hotel are committed to delivering happiness and well being to all our valued guests …. Reservation at Melissa Hotel is very simple and safety with our online form. Please enter your desired travel dates and submit to us.